Choosing wallpaper for your Toronto home? So you’ve heard a lot about wallpaper these days. Why should you consider it fo your Toronto home? There are many advantages to choosing wallpaper for some walls in your home, especially if you have the work done by a good installer. This is a common concern that I hear about wallpaper. I fact, I’ve had my fair share of wallpaper removals that have been extremely time consuming. Why is this? In all likelihood the walls were not properly primed. The walls need to be primed either with an oil primer or a specific wallpaper primer in order for the walls to be protected when the wallpaper is eventually stripped. If the incorrect primer is used chunks of paint and plaster will come off when the wallpaper is removed, resulting in a lot of patchwork to make the walls smooth again. Therefore, when selecting a wallpaper installer it is critical to make sure that they will prime the walls with the appropriate primer. If this step is done, when it comes time to remove the wallpaper and redo the walls, damage will be very minimal. 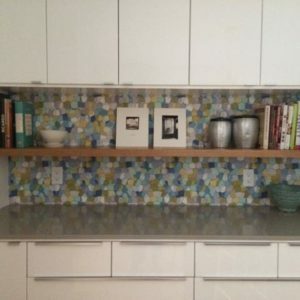 What are the advantages of choosing wallpaper over paint? 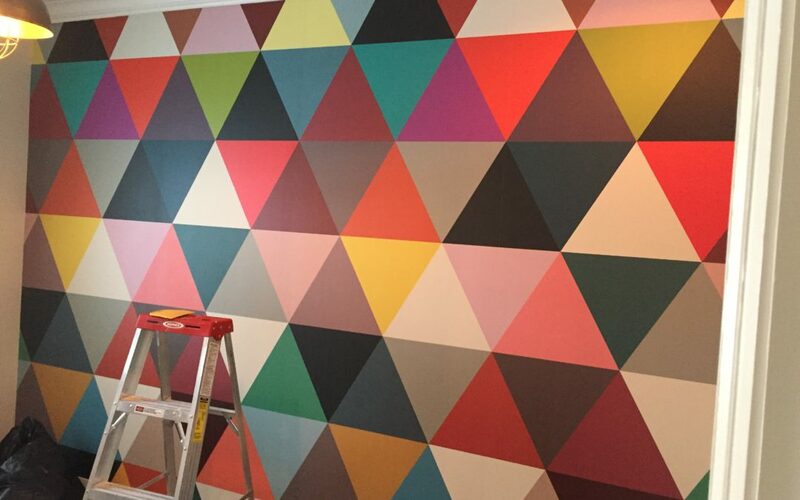 There are far more design possibilities with wallpaper than with paint. 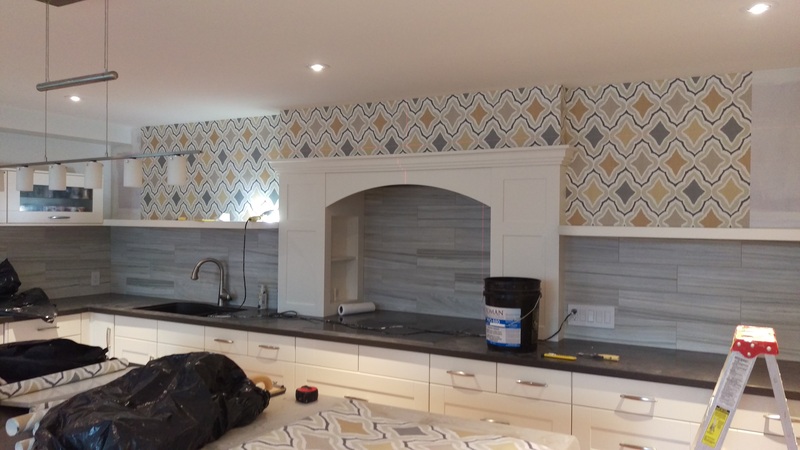 If you can think of a design that you want on your walls, chances are that you can find a wallpaper that will fit the bill. 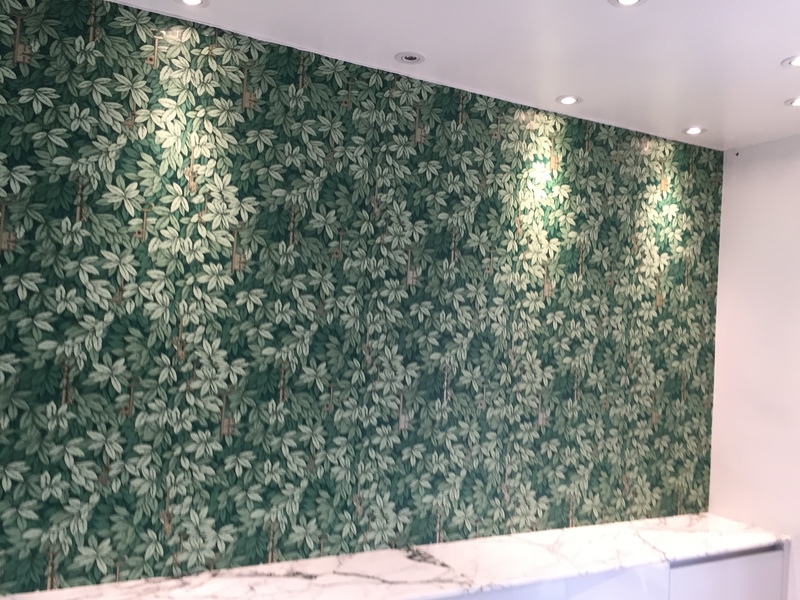 Even if you can’t find a wallpaper that you like, there are places that will print a custom mural, making the design possibilities limitless. There are painters that can do striped walls, stencilled walls and other decorative techniques. However, for intricate patterns it’s hard to beat wallpaper. The patterns can be extremely intricate, far more so than a decorative painter can achieve. This is where wallpaper really shines. Different levels of gloss in the design, different textures, rich velvets, woven materials such as grasscloth and silk, beads and glitter. It’s amazing what can be done! Pictures don’t tell the story here, textures really shine at different angles and in different lights. How about doing an accent wall in a bedroom, maybe a powder room? These are areas where you can have a touch of pattern, with wallpaper a little goes a long way! 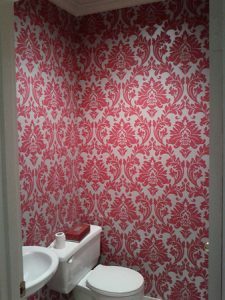 So, if you’d like to liven up your walls with some wallpaper, why don’t you book a quote? We’d love to Transform Your Home With Lasting Beauty!